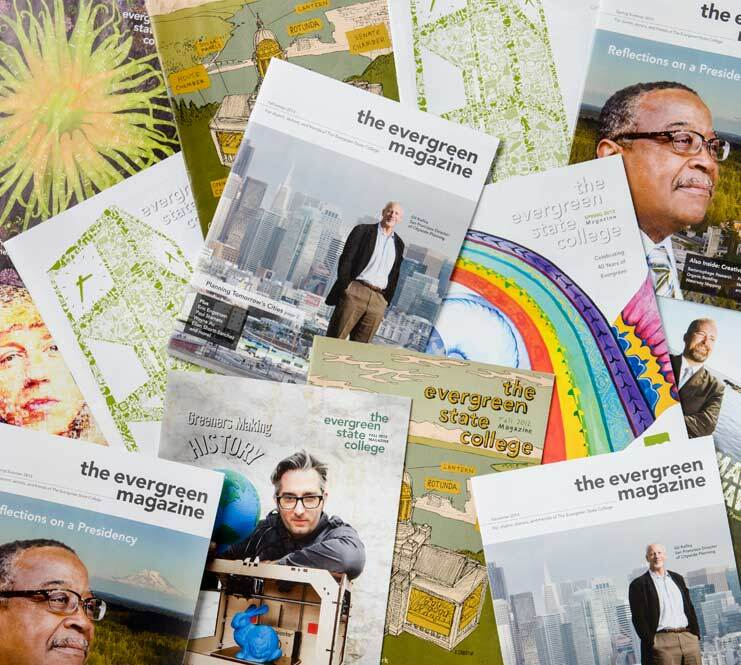 Catch up on the latest Evergreen Magazine, or dig into the archives and learn about all the great things Greeners have been doing after graduation. Transforming ourselves, and the world. Influencers and advocates. Plus inauguration highlights and more! Greeners innovate. Turning a smartphone into a microscope, promoting better health in rural Peru, 3-D printing as a communication tool for doctors and patients, innovations in cancer prevention and more! Also Inside: Creativity in Action. Bacteriophage research, organic bedding, waterway mapping, food hub launch, mental health tools, and more! Plus: Eric Engstrom, Paul Stamets, Wayne Au, Ellen Shortt-Sanchez, and more! 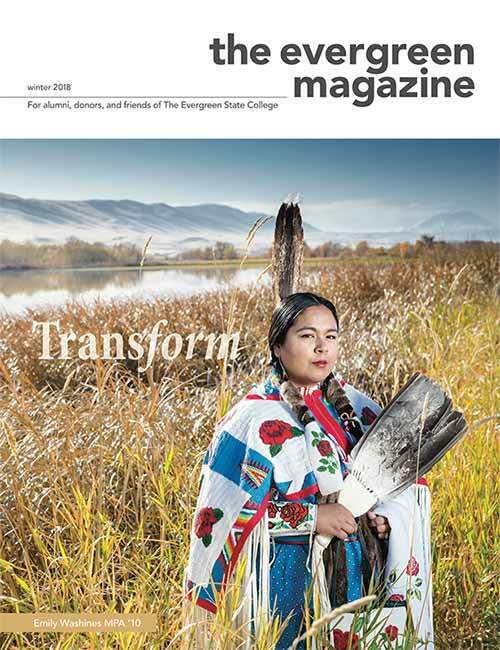 On the saltwater shores of the Salish Sea, Greeners shape the future of Puget Sound. 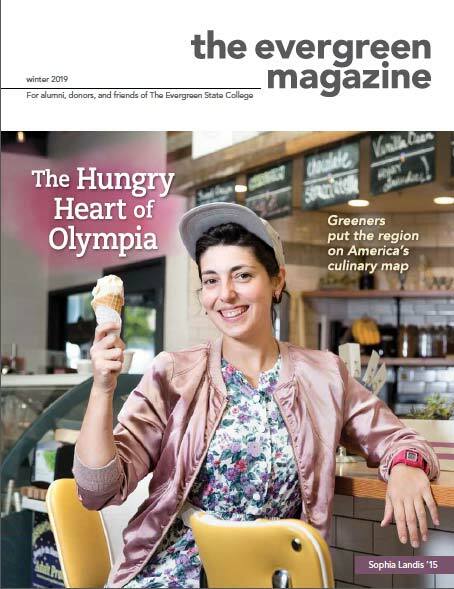 From science labs to compound arts, Greeners take technology in unexpected directions. 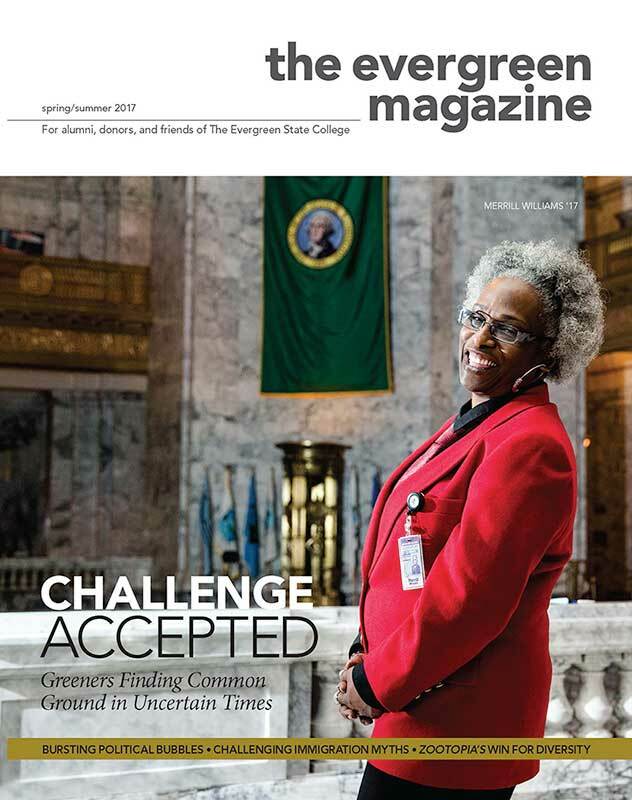 Issue explores teaching and learning. 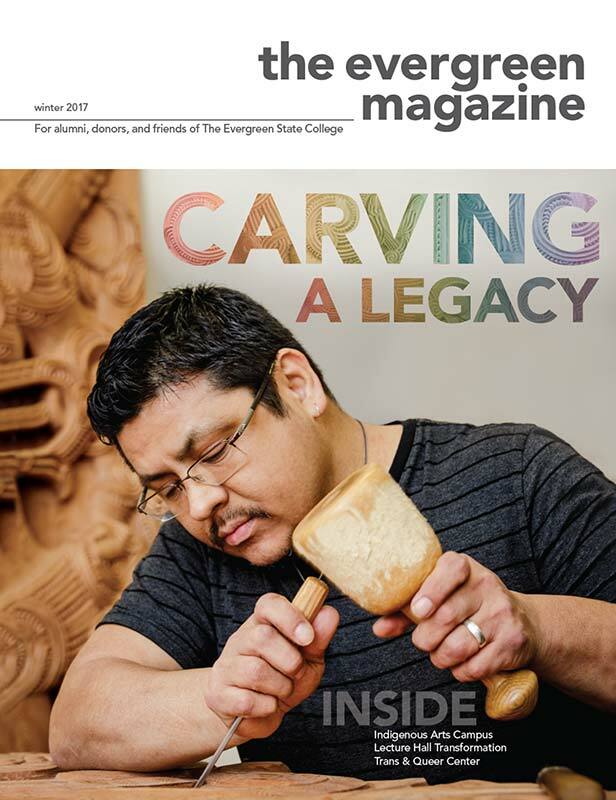 Issue explores audio and compound production.